May is flying by here! 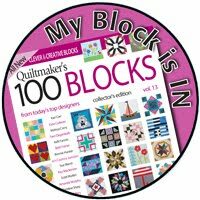 I'm happy to announce a winner from last week's blog tour for Quiltmaker's 100 blocks, volume 15. Congratulations to C. Knapp! 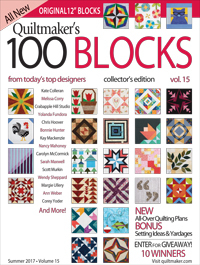 She won a copy of the magazine and three of my downloadable patterns. The magazine is on sale now so you should be able to find a copy of your own if you didn't win one here or on another block stop. 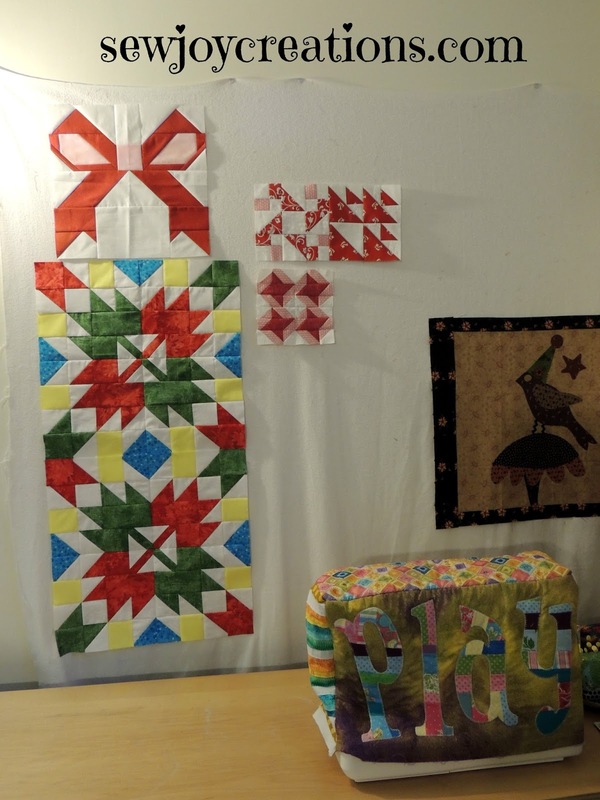 Saturday was my second time going to my guild's sew day - remember I just joined in February. 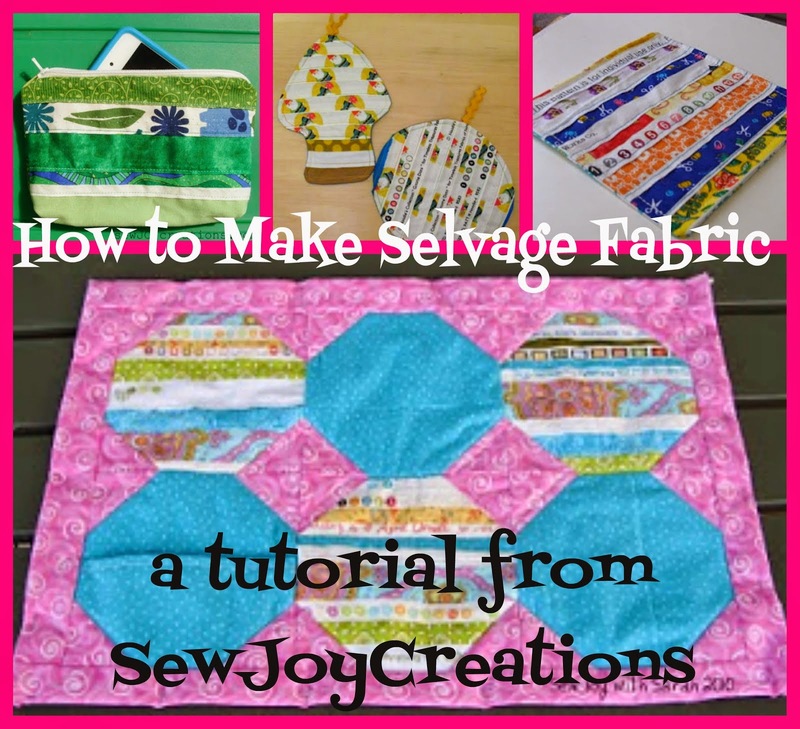 This time I took a lot of different projects that I was hoping to catch up on. I was a little concerned because last time I didn't take things that required thinking - like reading a pattern and cutting out pieces! I only had to redo one piece in this block which encouraged me to keep going! The next thing I worked on was cutting out a second Celebration Leaves block. 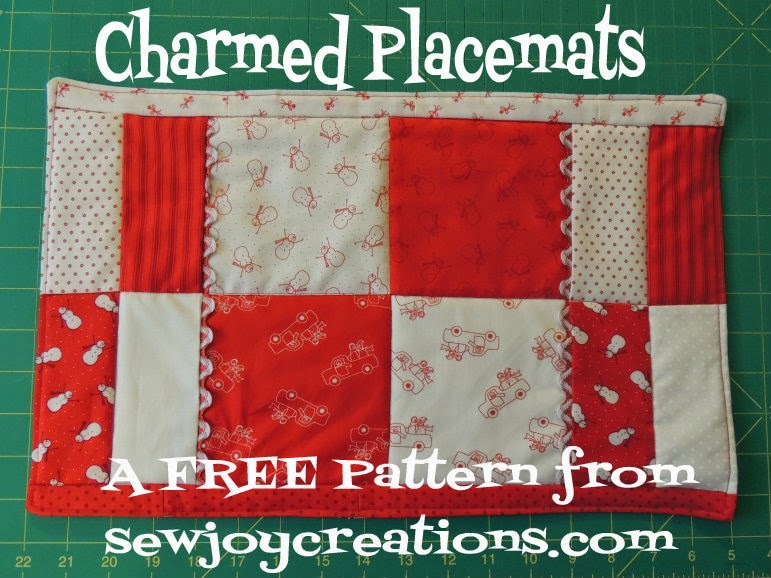 This will be a free pattern available to my newsletter subscribers. I was testing my written notes and also checking if I had enough of my chosen fabrics to make 3 blocks - and I do! 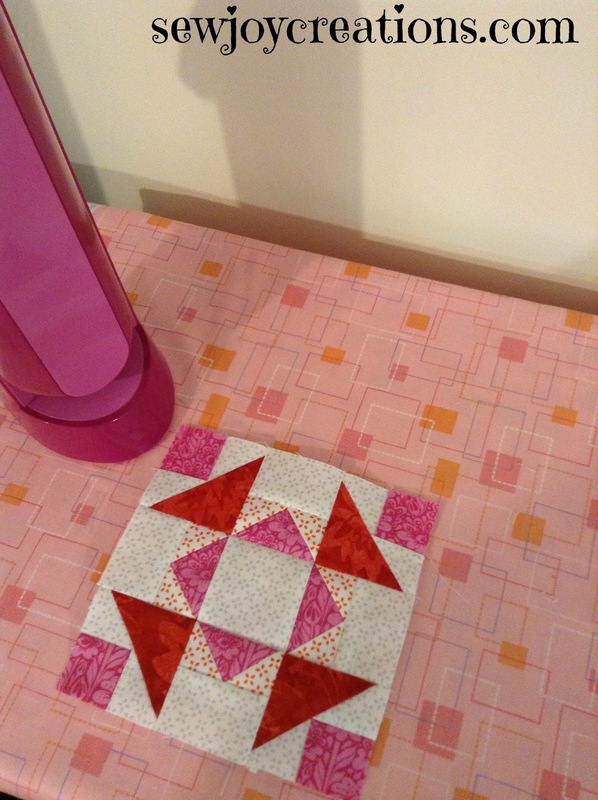 A fat quarter of each colour, plus a half yard of the white will make 3 of these 16 inch blocks. 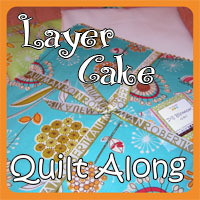 The third block is in the works as I am trying to keep the momentum going this week and sewing a bit every night. 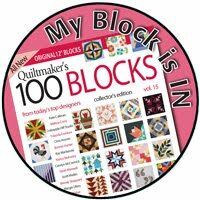 Working full time has left me behind on my 150 Canadian women blocks, but more money to buy fabric so. 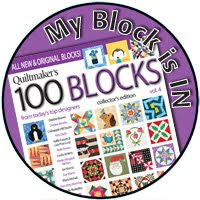 . . :) I printed out several of my blocks and took them to the sew day but didn't touch them. I decided to try to catch up by doing one block a night. Sunday night I prepped block 64 and then sewed it together last night. 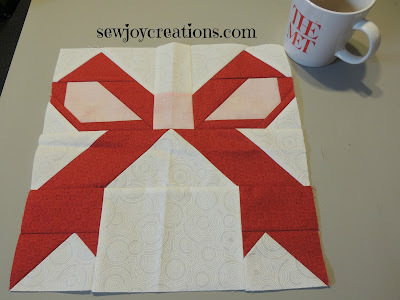 I have block 65 prepped and will finish sewing it after posting this and hopefully get 66 cut out too. I'm sewing my blocks together to turn them into 12 inch units. If you follow me on Instagram you'll be able to see my blocks as I finish them this week - and encourage me to keep going! 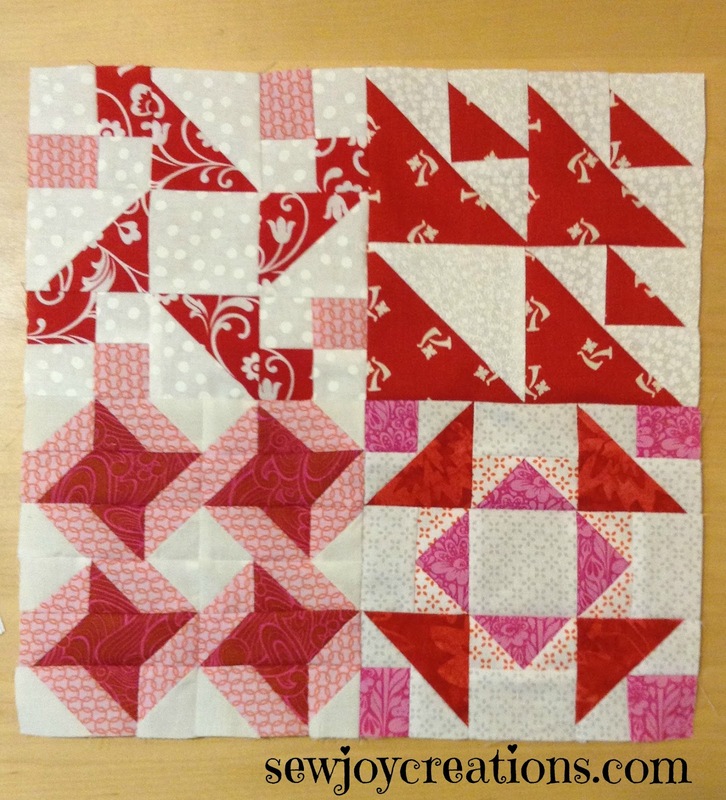 This week I posted an alternate colour arrangement for the last block using all pink. In the end the block was too bright like that and I added the red to help in blend in. Only in this quilt would red tone down a block! 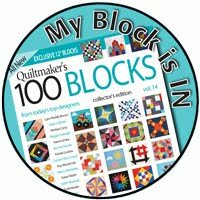 Tonight I'm downloading the next 3 blocks in the 150 designed by Kat Tucker, finishing block 65, and chain piecing Celebration Leaves in between. Hopefully I will cut out the next block too but feeling a bit tired tonight. A little concerned a coughing cold has found it's way into our house! 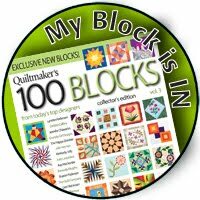 I always enjoy seeing your 150 CW blocks! I'm behind a bit too - but my schedule will be slowing down a bit soon, so I'll get caught up again - eventually! I love your Celebration Leaves block! 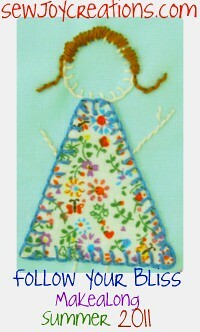 That would work up beautifully in any number of fabric combinations.